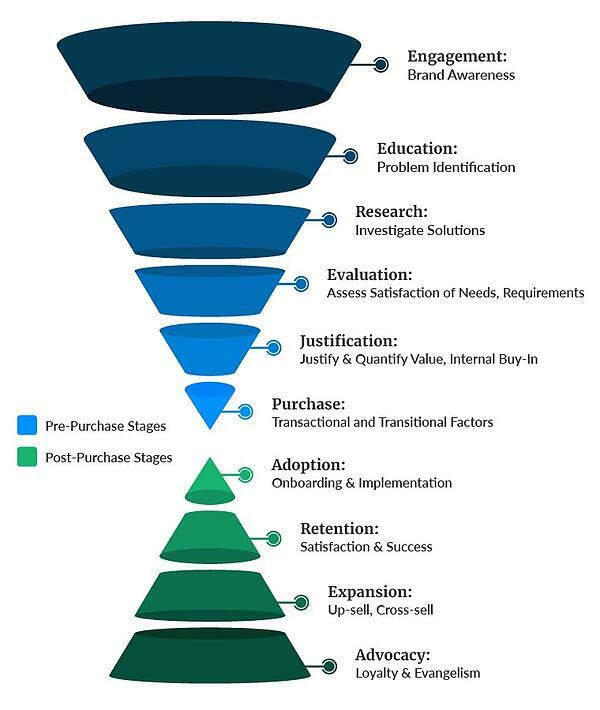 The Digital Marketing Funnel is Evolving. Are You Prepared? This blog post is Part 1 in a three-part series on the digital marketing funnel, including what it is, how to use it strategically and how companies are successfully implementing it. Today modern marketers are familiar with the typical marketing funnel—awareness, nurture, convert and delight. But did you know that the idea of a sales funnel is not new—in fact, it’s 120 years old! Education (aka, problem identification) - The discovery stage that started with engagement continues with educating consumers about the brand. This includes clearly identifying consumers’ problems and providing insight to help solve them. Evaluation (aka, assess needs) - At this point, it’s time to present a specific solution to the problem. Customers may be looking at multiple competing solutions to their problem, so the focus should be on showing them why a particular product is their best solution, for example, through clear benefits and cost comparisons with competitors. Justification (aka, quantify value) - Often, marketers succeed at convincing prospects that their solution is the best one for them, but still don’t make a sale due to consumers’ objections, obstacles or inertia. The justification stage is about finding ways to overcome these issues. They need reasons why they should pull the trigger. Purchase (aka, transaction occurs) - At some point, some prospects will become customers. The purchase stage is all about the sale. Marketers should support the sales process by answering all of their questions and making them feel confident with the product’s value. Adoption (aka, onboarding and implementation) - Post-purchase is time to deliver on everything a company has promised its new customers. It’s important communications continue after the purchase via fulfillment, support and customer service, such as educational materials on how to get the most out of the products. Retention (aka, satisfaction and success) - Converting a prospect into a customer is a major achievement. But now marketers have to retain them as satisfied customers. One way that brands achieve this is through ongoing high-value communications. 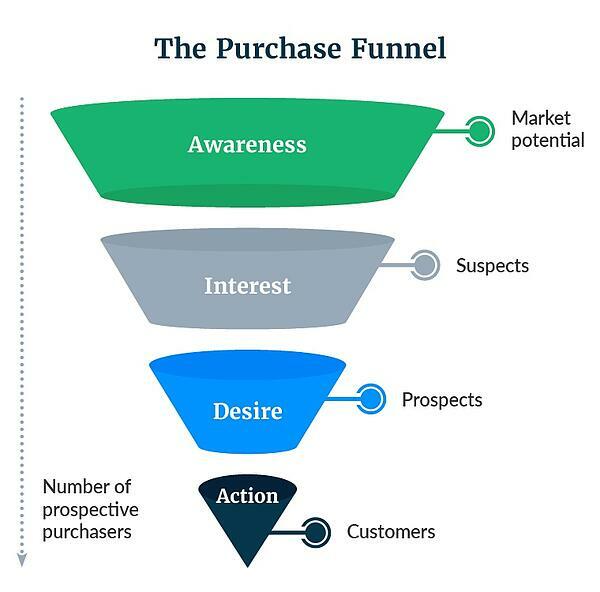 Is “Flipping the Funnel” the Future of Digital Marketing? As high-impact as the new digital marketing sales funnel is, some marketing industry experts are talking about a whole new approach to digital marketing. 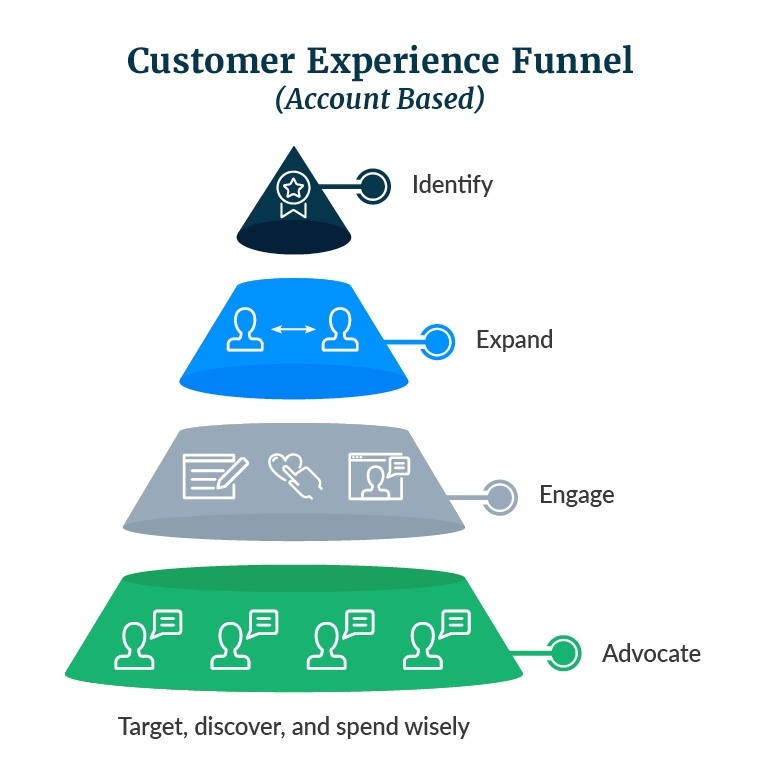 Instead of the funnel as we know it—wide on top and narrow on the bottom—they are advocating we “flip the funnel” to accommodate a new approach to marketing called Account-Based Marketing (ABM). Identify. Marketing and sales teams must collaborate on a list of target accounts or companies that are the best fit for the solution. To do this, it’s crucial they agree on their ideal customer profile and individual buyer personas. Expand. 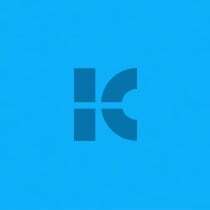 Next, take the list of target accounts and expand the company profiles with the contact information of key stakeholders and decision makers. Engage. Now, execute an omni-channel marketing plan and begin to engage contacts in the target accounts by employing a variety of sales and marketing tactics—including content marketing, personalized emails, events and phone calls. Advocate. After your sales team successfully closes a deal, the marketing team needs to work to transform satisfied customers into brand advocates. Measure. Measure the success of the ABM campaigns by focusing on account-level KPIs that reflect the marketing team’s contribution to pipeline and revenue (ROI). Clearly, when it comes to digital marketing funnels, one size does not fit all. It’s up to marketing teams to understand their industry, products and target audiences — and then create the digital marketing strategy and funnel that best meets their needs in reaching their potential new customers. Part 2 in this three-part blog post series will look at how to set up a powerful digital marketing campaign strategy.